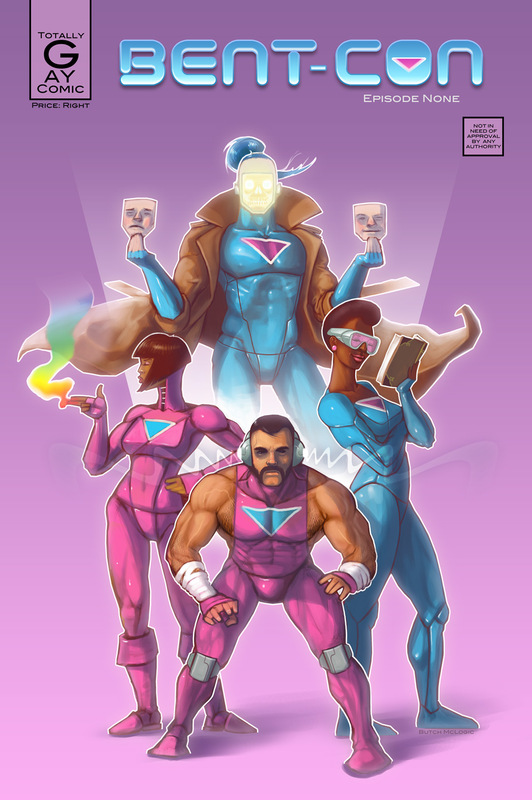 Just for fun, here’s my version of the “Bent-Con Bentlings”, the LGTB comic convention mascots. I couldn’t resist making them look like they’re on the front cover of their very own comic book. The convention is in L.A. from November 30-Dec 2nd. I’ll be there showing off my comic “Tug Harder – Episode 3: Modern Ape” for the first time anywhere. Looking forward to seeing you there!